I had the pleasure of attending a great writing conference over the weekend. It was in Denver, Colorado at the Brown Palace and hosted by Hay House, the big publisher of self help books. The subject was “Writing From Your Soul” and it featured Wayne Dyer (prolific Hay House author) and Reid Tracy (Hay House CEO). Going to this conference was a “no brainer” for me. I’ve always felt that writing comes from my soul (and expresses my heart) and that’s what I’ve tried to do with Tuna Breath. It was great to hear Dr. Dyer and Mr. Tracy speak, too. I received many insights about their extensive experiences, writing meaningful pieces and the publishing business overall — most of which either confirmed my existing knowledge or completely opened my eyes to how things work. Very helpful indeed! So, besides sharing creative time with the other 499 writers that attended I decided to enter Tuna Breath into Hay House’s upcoming writing/book publishing contest (which they also promoted at the event). Book proposals are due by October 28, 2013 and the winners are announced 1 month later in November. The winner receives a $10K advance and a Hay House publishing contract! So, here we go. 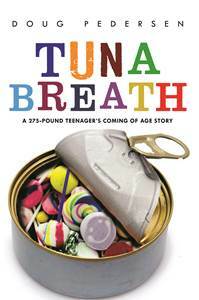 I am proud of where Tuna Breath is and where it’s headed. I entered it into a Writer’s Digest writing contest the other day and this Hay House contest looks like it’s right up my alley. I’d love to publish with Hay House; regardless of the contest outcome. I am in this for the long haul. There are at least 2 other nonfiction titles that are in me, that I have outlined and will write, but Tuna Breath is here now so I’m entering it. Stay tuned!